Today I bring you the War Monk from Awakening, initially a still by @Pikmin1211. I have taken some liberties, and help from Nuramon, Wan and Pik. Thanks to these talented people, credits to them! Download right here, right now! 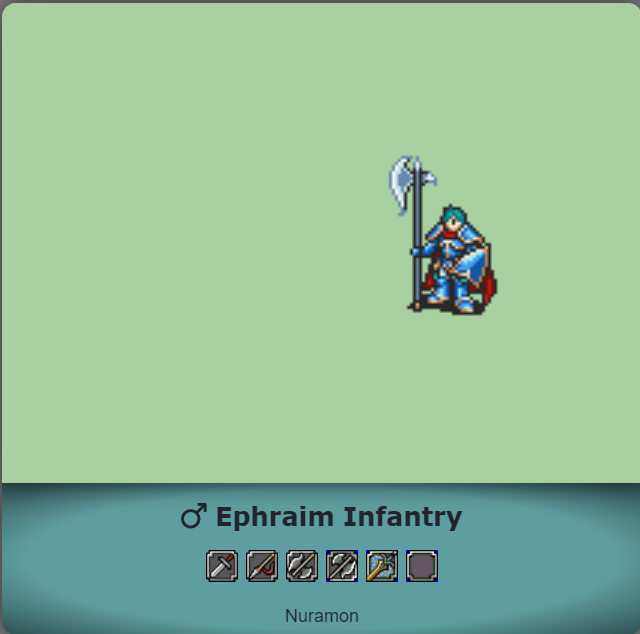 We are entering a golden era of custom FE-GBA animations. Sorry，I haven’t finished this lyndis yet. Hee ho! Not exactly too special or anything, but I found that some people had problems with the cleric (and priest, but focused on cleric) due to the limited colors, due to the original having white on the clothes. My solution is just a simple re-palette. Not exactly too much, but I suppose this can fix the problem. Credits only include myself, and free to use, as long as you give credit. P.S: As a little bonus, FERecolor users can use the provided .dat and .png file to put into their FERecolor Paletting Shenanigans. This is so much better than vanilla! Hello community! 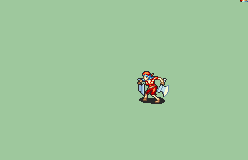 I want to share wth you this epic guy: Pent from FE7. I try to be the closest to his original art. I share the frames only, I don’t know how to script. If anybody can help with it, I’ll appreciate it. Feel free to use and edit, just give credit. Was that a frame by frame edit Arkth? If it’s frame by frame you should be able to just use the original script. Hello, I haven’t shared this Animation on this post, I guess… So, I made an Eliwood with Sword of Seals as a probable Brave Hero weapon, who knows? The video also contains Spud’s Bow Eliwood. I like this new class, Deserter is a good name for a lance bandit, It’s free to use? I’m interested in using it in my hack. Of course! All animations I post on this thread are free to use, share, and modify. Pardon my tardy response. Credit: oracle_of_fire and Sploder for the animations, Mikey seregon for the map sprites. Female pirate handaxe animations cause freeze everytime she attack an enemy that can’t counter her (like the pierce glitch iirc) because of lacking c01 code. I fix it by import the c01 code. Would have never found it if it wasn’t for a PM. Can we have this link on the OP too?